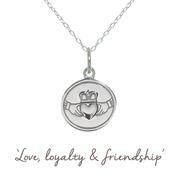 The Celtic Claddagh represents love, loyalty and friendship. 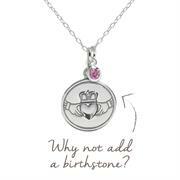 Traditionally a symbol of family, this Claddagh Necklace makes the perfect gift to a loved one or friend. 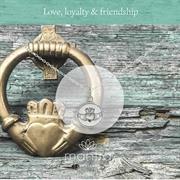 Let them know how much their love and friendship mean to you with this beautiful necklace from Mantra. 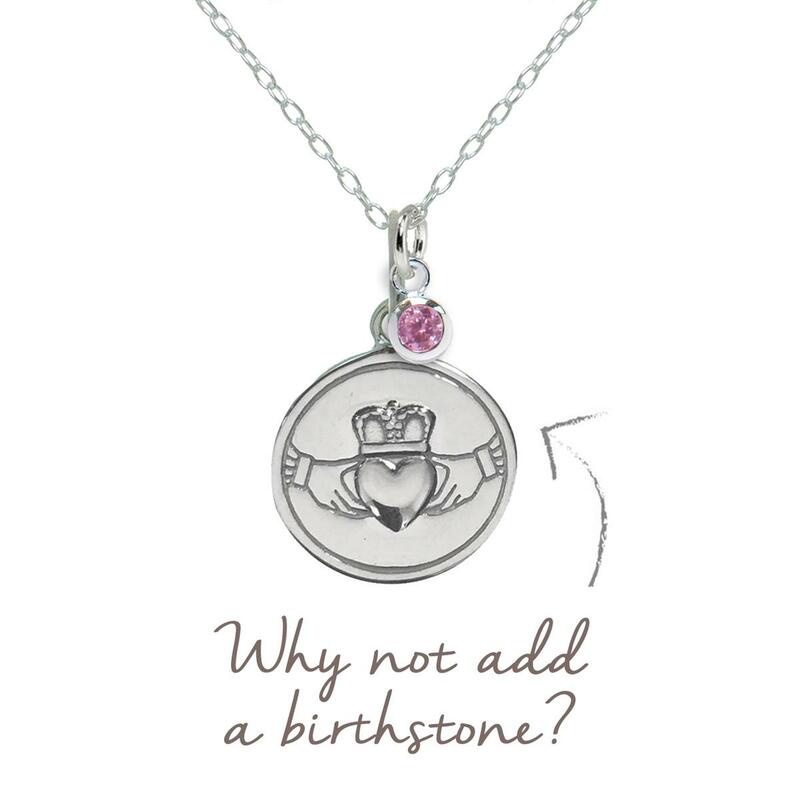 Perfect gift for: anniversary, birthday or Mother's Day. 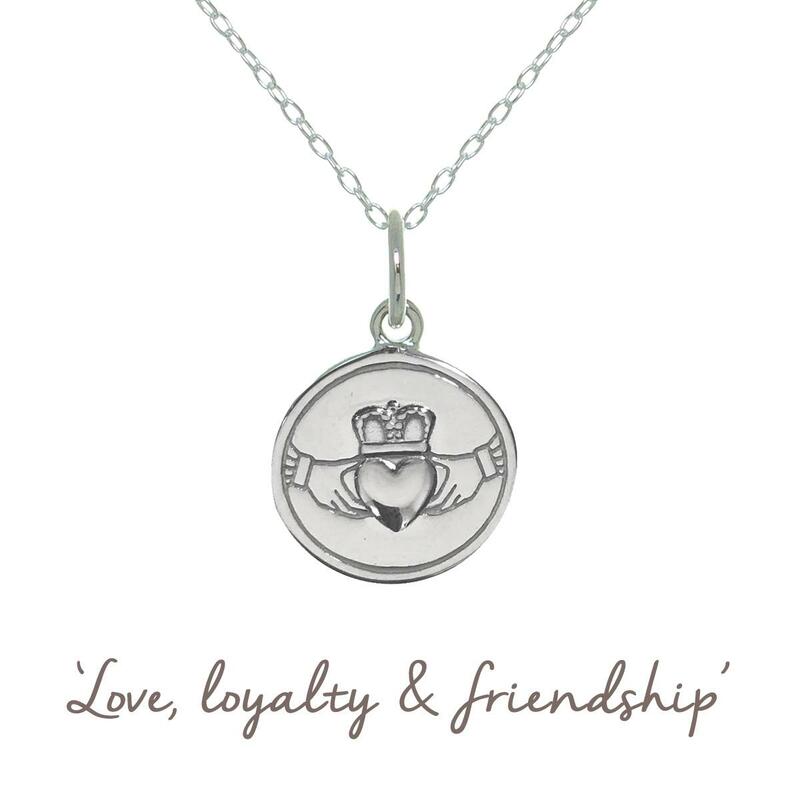 Perfect gift for birthday | friendship | Mother's Day. Presented on a beautiful card to keep, with an inspiring image on the front, and space on the back for your personal message. 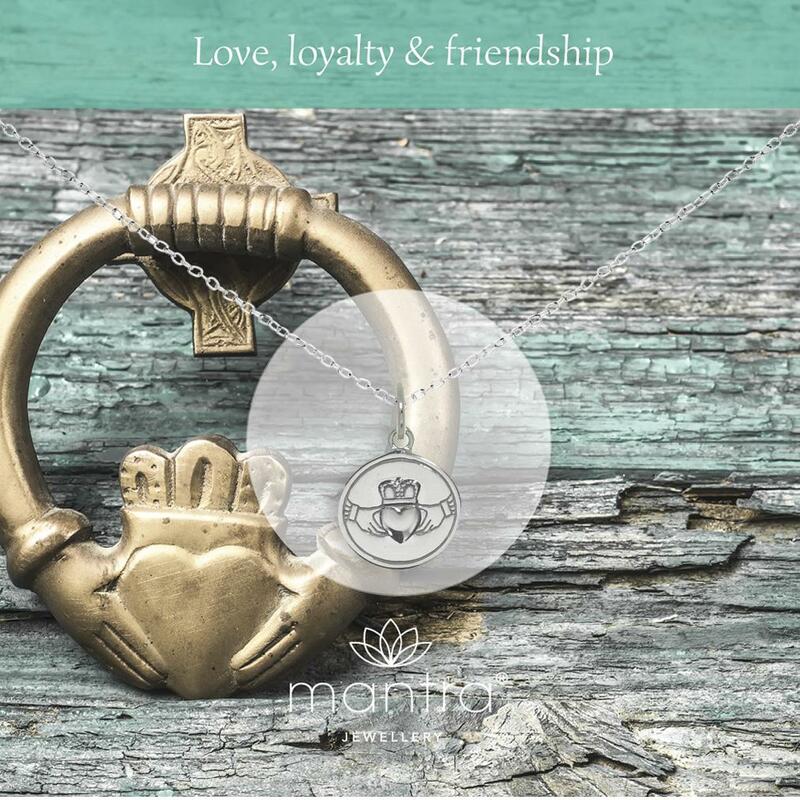 The perfect loving gift for a birthday or Mother's Day, or even a great way to remind yourself on a daily basis that you are blessed with love from those dearest to you.